With Flickr in less than 30 seconds. Here is a great utility that makes a personalized calendar for any month or months you choose using any Flickr photo you choose. 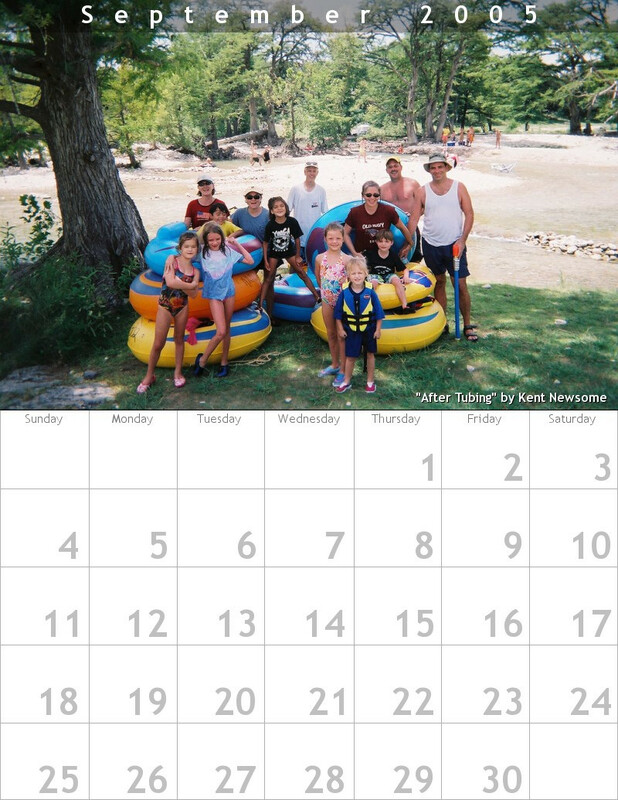 Here is one I made for this month, using a photo from our recent Frio River camping trip. Posted on September 4, 2005 December 29, 2012 by KentPosted in TechTagged web apps.